Hello! This is my final post this month for PaperWorks Co. PaperCard Kit Monday! If you haven't ordered the kit, you only have a couple days left to do so! 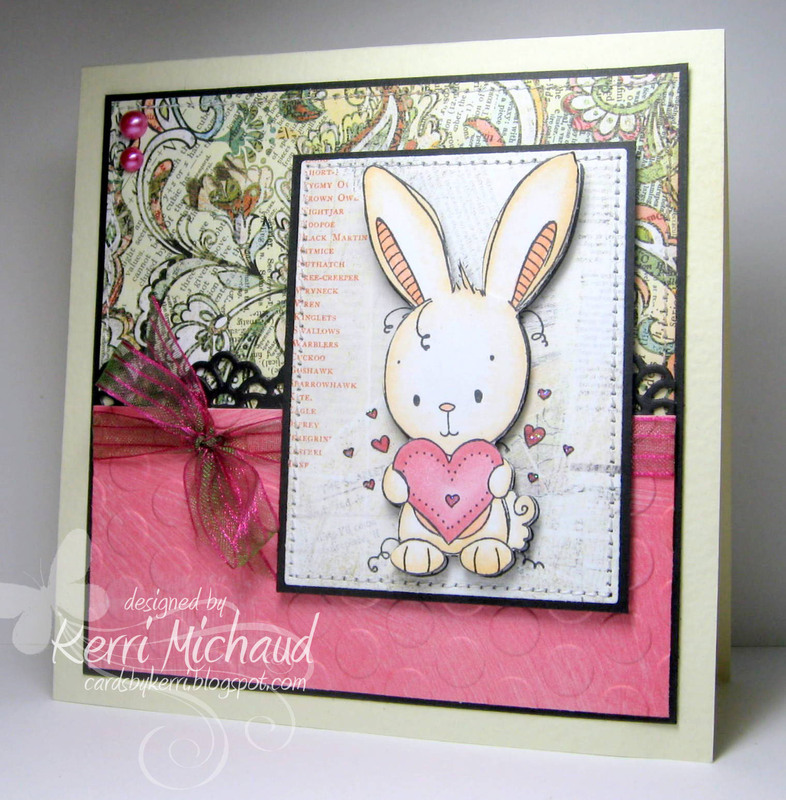 This week I used this darling image from Rachelle Anne Miller called Some Bunny Loves You. The cs, dp, ribbon, and pearls all come in The Kit. I embossed the pink panel with the CB Seeing Spots Embossing Folder, and the pretty border was cut with my new MFT Die-namics Faux Crochet Border that I picked up this weekend at the My Favorite Things Boutique Grand Opening! On Saturday I attended a Copic class by the amazing and fun Colleen Schaan at the new MFT Boutique! Guess who was in my class? Carole Burrage!!! I was so excited to meet her and she is such a sweet, friendly, and fun person! I had a blast and left with some really good coloring tips:) Well that's it for me today. I'm ALMOST done with those baby shower invitations I've been working on. My goal is to finish today! Thank you so much for stopping by and have a great Monday! AWWW this is totally ADORABLE Kerri, LOVE your creation!!!!! :)))) What a great photo of you ladies!!!! :) Have a great Monday girl! 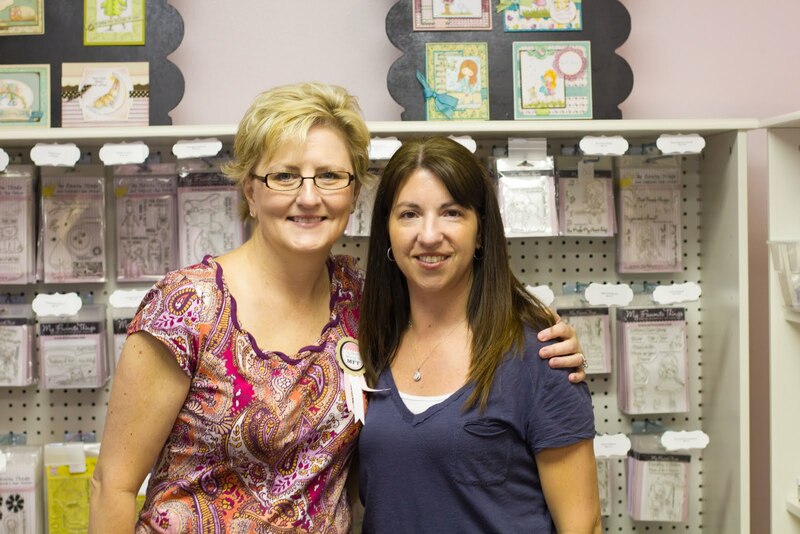 So envious of you having access to the coloring class plus meeting such super stampers! Your bunny card is adorable! Awwww, so cute! We have a copic cert coming here in october but I don't think I'm going to get to go. Oh, how fun to meet beautiful Carole! And to get to see the new MFT boutique AND to get to attend the copic class - you're one lucky girl - and talented, your bunny card is ADORABLE! Okay I'm so jealous. I want to hang with you guys. I'm taking Colleen's class next week in Savannah. I can't wait.